An oil painting based on a scene from the Mohawk Trail in Charlemont, Massachusetts. This painting was inspired by a walk along a section of the Mohawk Trail in Charlemont, Massachusetts. Mohawk Trail is one of my personal favorite paintings. It challenged me to confront and rethink my occasionally precise painting style; I somehow managed to let parts of this remain loose, gestural and abstract, while functioning meaningfully in the context of the larger image. Paths and trails are intriguing, both metaphorically and as a purely compositional element. 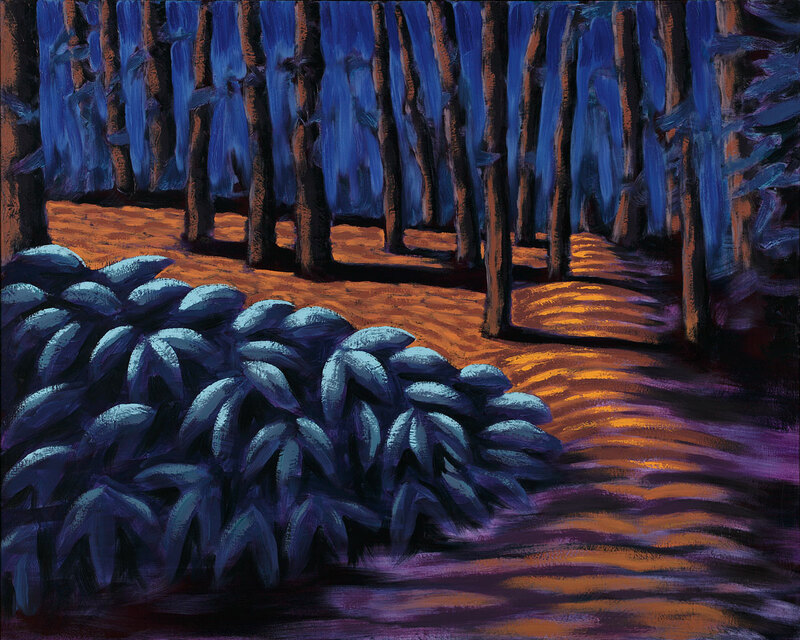 They have begun to figure in several of my works that involve landscapes of one form or another. I painted Mohawk Trail in acrylic and oil on canvas, and finished it in 2005. Its dimensions are 44 inches by 55 inches (not including the black-stained spruce frame I built for it). This painting has been sold.